Today we're dishing out our favorite podcasts on the Fit Dish link-up! Now when I'm training for a full or half marathon, that's a different story. The long run is my podcast time. Long runs can get a bit monotonous and mentally boring, especially if you run solo. Listening to upbeat music or an interesting podcast helps to distract me from my legs whining about how tired they are or my mind attempting to convince me to cut the run short and go back to bed. 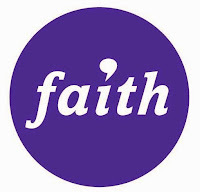 The My Faith Radio podcasts feature a variety of different hosts and faith-related topics ranging from Health & Wellness to Business & Finance to Relationships! When I am fitting in early morning training miles, this is my favorite podcast to learn more about God, growing in my relationship with Him and insight on biblical parenting and relationships. The Marathon Training Academy, or MTA, podcast is a great listen for everyone from beginners to advanced runners. Trevor and Angie Spencer share about all thing running and they were the ones who taught me about the marathoning basics back in 2009! 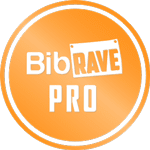 They have been a great running resource for me and they share inspiring stories from other runners on their website as well. If you aren't in the mood for a long-winded podcast, the Quick and Dirty Tips podcast is the way to go. The audio clips are around 10 minutes long each and cover pretty much every topic under the sun - even interior design, real estate, time management and pet training. The toddler parenting, grammar and exercise categories are my favorites! 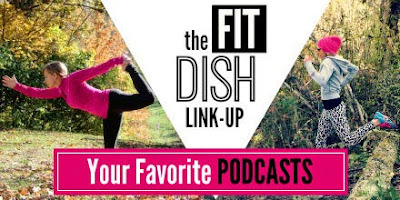 I don't really listen to podcasts - but a lot of my runner friends do (and my husband does now on his long runs). I should probably give it a try! I stopped running with music about 3-4 years ago and I love it. Gives me time to think - plus, if I'm running with Mr. President I don't want to have any other distractions. Once I have baby - and hopefully some time to run alone (after I'm cleared) - I'll check out these podcasts. My Faith Relationships sounds like a good one. Definitely - when I'm running with a stroller, the iPod isn't an option! It is nice to have a bit of peace and quiet just to think and enjoy the run :) One thing I'm looking forward to post-baby is the long run listening to podcasts or music again. I run when the family is still in bed and it's nice to just zone out to music or a podcast! Great choices Amy! I hope you are doing well! I put some of your recommendations from my last post on podcasts on my list ! I loved your list, Mary Beth! Thanks! Grammar Girl looks like fun, and a short podcast can be just the thing sometimes! I have listened to the Marathon Training Academy; it's such a great resource, and I LOVE learning about running and runners while I am running; it's so motivating! lol. Thanks so much for sharing, AMY. Hope you have a wonderful week. 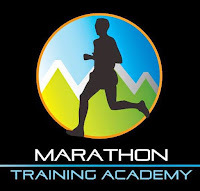 I'm a long time listener of Marathon Training Academy! 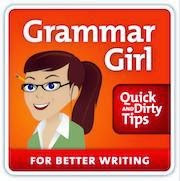 I'm a grammar geek so i need to check out Grammar Girl. Thanks for sharing Amy! Same here - the MTA is so great! And I love that the grammar girl podcasts are short and sweet. That makes perfect sense, Melissa! I rarely have the radio on even while the toddler is awake because it's noisy enough as is :) Trying to listen to a podcast and take care of TWO kids sounds like brain overload!